TCSYO Symphonic Orchestra - Highest esteemed and fastest growing Youth Orchestra on the East Coast! The Capitol Symphonic Youth Orchestras is the premier musical destinations for aspiring young musicians in the Northern Virginia area. TCSYO's Symphonic Orchestra separates itself from other Youth Orchestras in the Washington D.C. area through their unique rehearsal configuration. The Symphonic Orchestra is leading this area's area performance program, nurturing and inspiring young artists in grades 6 through 12. TCSYO provides members with a high quality and innovative artistic experience and strives to encourage musical and personal growth through the art of performance. It alternates weeks of intense sectionals during the first half of the rehearsal, at which time the woodwinds, brass and percussion sections work with TCSYO Artistic Specialists. Not only will the artistic specialists teach the orchestral material, they will also form small chamber ensembles, teaching their students the intricacy of ensemble playing. The strings students benefit from these sessions as well working with Violinist/Conductor Dr. Cheri Collins on ensemble playing techniques, left-hand fluency, and right-hand music making, giving students the opportunity to achieve a high level of musicianship over the shortest period of time. Our distinct focus is on student learning, giving our musicians a commanding perception of orchestral ensemble playing; an essential element of musicianship. Dr. David Wolf, Director of TCSYO’ Percussion Ensemble, will rotate students in and out of the full orchestra, giving each percussion student the opportunity to master techniques on all the instruments. Dr. Cheri Collins, TCSYO Artistic Musical Director/Conductor will work with the string sections during the first half of the rehearsal. Dr. Collins expertise on the violin, her knowledge of all the string instruments, and her in-depth study of tone production gives students the unmatched opportunity for learning and music making on their instrument. Dr. David Wolf, Director of Percussion will work with his percussion students, learning advanced techniques devoted exclusively to the sonic and expressive possibilities of percussion instruments during the first half of the rehearsal. TCSYO Woodwind Specialists will work with the woodwind section during the first half of the rehearsal. TCSYO Brass Specialists will work with the brass section during the first half of the rehearsal. Members of the Symphonic Orchestra range in age from 14 to 18 and are chosen through competitive auditions held each spring. Though the majority of students fit into these age groups, upon request, exceptions are considered on a case-by-case basis at the discretion of the Board, with consultation with Artistic Music Director/Conductor Dr. Cheri Collins. 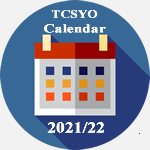 *The percussion ensembles will have the opportunity to perform at TCSYO’ Season Concerts. Auditions are required and will be scheduled after registration is received.